There’s something extraordinarily beautiful about fresh flowers in the depths of winter, especially if they’re living plants that won’t lose their vibrancy and fragrance after a couple of days in a vase. “Forcing” bulbs or sowing seeds in pots allows you to enjoy bright blooms indoors while storms may rage outside, and if you start them now, they’ll bloom in time for Valentine’s Day. At this very moment, I have several pots full of earth scattered around my home: some are sitting precariously on window ledges, others are cluttering the kitchen counter, and I even have a few perched on my washing machine. Why is that, you may ask? Quite frankly, I love flowers more than I can possibly express, and I don’t relish the idea of waiting for several months to see them again. Spring often doesn’t arrive until May in our neck of the woods, and since this area is currently under a good two feet of snow, I decided to grow some flowers indoors instead. At the moment, I have bluebells, daisies, bachelor’s buttons, lavender, and sunflowers sprouting away merrily, though I can’t guarantee that I won’t eat the last on that list before they turn into actual flowers. There are a couple of different ways to grow your own blooms indoors, namely growing them from seed, or by forcing bulbs. The latter sounds a bit uncomfortable for the plants, but all it really means is that they’re being tricked into believing that it’s springtime so they can unfurl all of their beautiful, fragrant blossoms for you to enjoy. Keep in mind that some bulbs need to be chilled first (to emulate being tucked underground over the winter months), but for the sake of ease, I’d just recommend using bulbs that don’t require that pre-chilling process. Some of the best ones to use are paperwhite narcissus, and amaryllis. If you have your heart set on hyacinths, daffodils, tulips, or crocuses, try to find some that have been pre-chilled, otherwise you’ll have to keep them in the fridge for 12-18 weeks for the internal “switch” to be flipped. 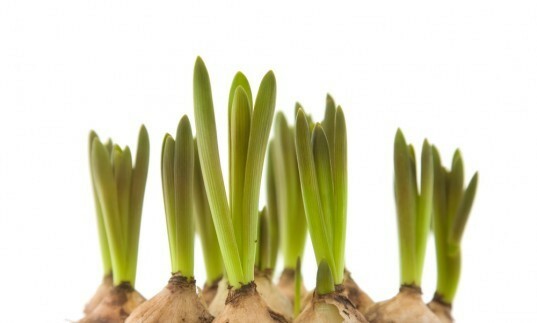 If you don’t pre-chill those bulbs, they either won’t flower, or will be stunted and deformed. Many mail-order nurseries carry pre-chilled bulbs, and you can often find them in the fridge section of local florists as well. Combine equal parts aquarium gravel and charcoal, and fill the bottom of your jar or vase with two inches of that mixture. Place a couple of bulbs into the pebble mix, just close enough to touch, and then add just enough water to cover the bulbs’ bottoms by 1/4 inch. Keep this jar in a sunny spot, and ensure that the water level is maintained—just keep adding water to it so the bulbs are always sitting in liquid. 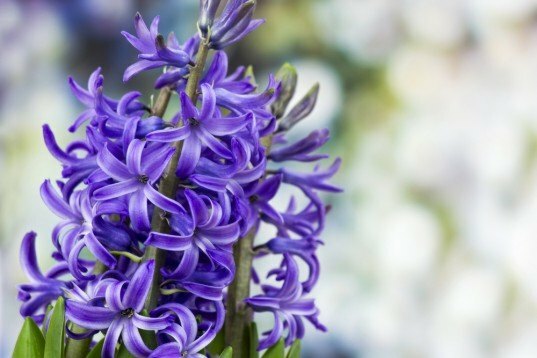 Within a couple of weeks, you’ll have bright green shoots popping up from your bulbs, and the flowers themselves will come into full bloom a couple of weeks after that. It generally takes 20 to 30 days for bulbs to blossom into full flower, so if you start yours soon, you just might have some gorgeous, fragrant blooms by early to mid February. In fact, you can even get an assortment of bulbs and stagger them in order to ensure that you’ll have fresh new blossoms every couple of weeks until spring returns. 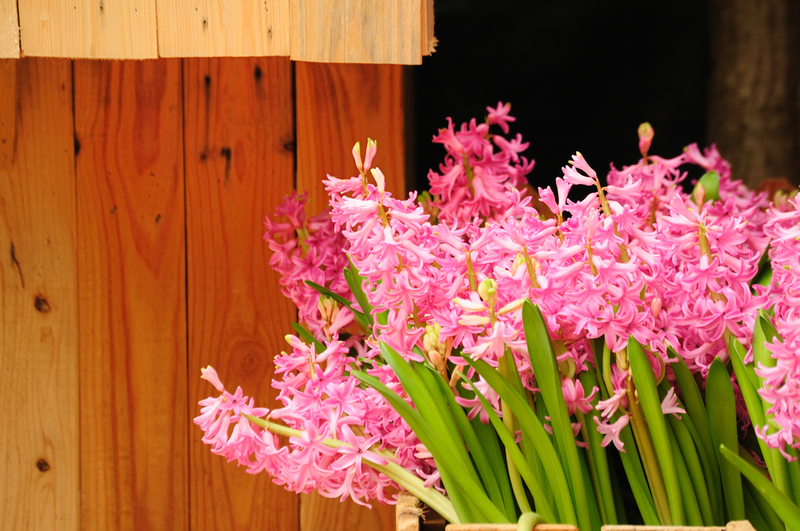 It’s best to start new bulbs every two weeks, as the flowers will not re-bloom after they’ve been forced. You’ll find flower seeds at most supermarkets, garden centers, and even dollar stores year-round, which is fabulous for anyone who loves a houseful of blooms that last longer than pre-cut bouquets. Online retailers like Veseys have an incredible selection of seed flowers to choose from, and they grow far more easily (and quickly) than the bulbs do. Growing flowers from seeds only requires potted soil, water, and a warm light source. Just fill a container with potting soil, sprinkle some seeds around on it, sprinkle a tiny bit of extra soil on top of that, and then drizzle with a bit of water. Place the container in a sunny spot, or beneath a warm, bright light (I start mine on the back of my stove, under the light there), and you’ll likely see the first sprouts pop up within a few days. Then, all you need to do is keep the soil moist and the light constant, and fresh flowers will be blooming on your counter before you know it. I actually like to grow a lot of flowering herbs over the winter, such as lavender, chamomile, thyme, catnip, borage, and calendula, as not only are they beautiful and fragrant, adding vibrant beauty to my home, but I can use them for decorative, culinary, and medicinal purposes as well. Live flowers make wonderful gifts, and those that do double-duty are especially lovely. If you give someone a pot filled with living lavender, for example, they’ll be able to enjoy the fresh flowers and then dry some stalks for sachets. Similarly, a little pot filled with living chamomile brings the beauty of fresh little daisies into a room, and the flowers can be used to make tea later. Forcing flower bulbs and seeds can result in lifted spirits and beautified interior decor. Most hardware stores and garden centers will have flower bulbs available year-round. Hyacinths, daffodils, narcissus, and crocuses are the easiest to force. Paperwhite narcissus are particularly gorgeous. Pink narcissus smell as beautiful as they look. Crocuses come in hundreds of different shades to suit every taste. 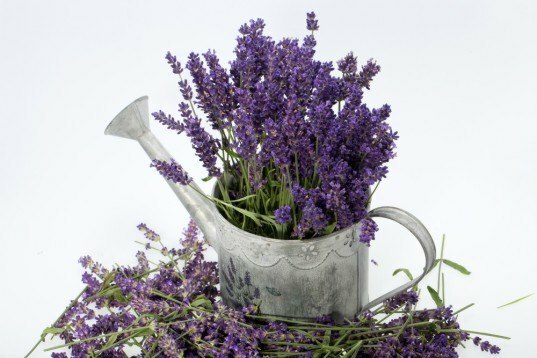 Herbs like lavender act like aromatherapy in the home, and can also be used for cooking and baking. 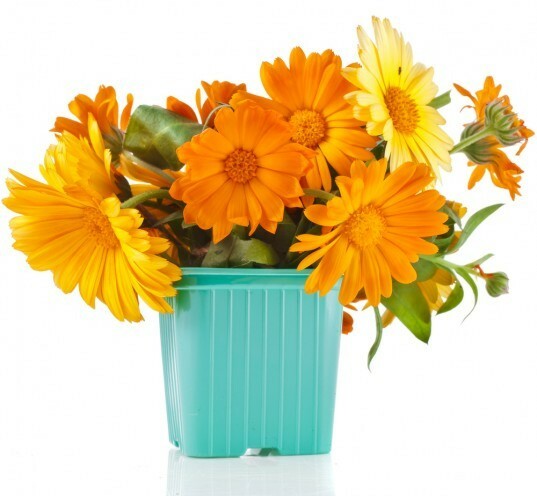 Calendula (marigolds) and daisies are beloved by all. Who wouldn't love their happy faces? To force bulbs, you just need containers, gravel, water, bulbs, and a light source. If you don't force all your bulbs, you can plant them outdoors so they'll self-propagate and provide you with flowers year after year.